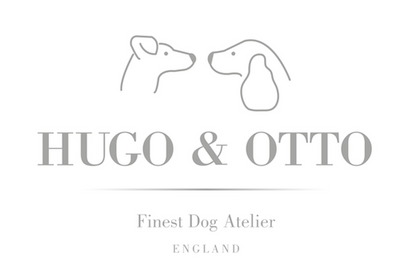 Hugo & Otto Louis Velour Dog Cushion is as beautiful as the sea. Deliciously cosy your 4 legged companion will love the softness of our Louis Dog Cushion. We named this gorgeous dog cushion after King Louis XLV & the Huguenot weavers who emigrated to Spitalfields,London in 1685. They famously brought their skills, handlooms, beautiful silks and velvets escaping the religious persecution and created the British Silk Industry. Their work silks and velvets can still be found beautifully preserved in the British Palaces and Stately Homes throughout England. Our beautiful Hugo & Otto velour is made in British made upholstery quality 100% polyester with a 31k rub test and fully washable at 30' designed for dogs who love to snooze in warm cosy comfort. Beautifully designed in a contrasting colour of stunning Silver and Atlantic to harmonise with soft interior colours. Hugo & Otto Louis Velour Luxury Dog Cushion covers are fully removable with internal mattress protective covers to help keep the base mattress free from moisture and the a usual dog day messiness. Sleeping on top of a deep filled mattress offering vital spinal support and the super cosy velour your dog has many dog twitching dreams to look forward to and us humans, well dog envy just got real and we call this Fine British Britishness. We recommend to plump up the Louis Dog Cushion every day to keep it's shape as you would do a normal cushion. A very light clean with a hand held vacuum helps to take away dog hairs, any localised spots can be cleaned with a soft clean cloth and warm soapy water. Louis Velour Outer Cover: We recommend to wash on a low temperature (up to 30 degrees) on a gentle synthetics wash cycle. Dry naturally. Do not tumble dry. Iron on a low heat on the reverse side only. Do not bleach.